Really efficient and friendly service, with really quick response time. Nothing too much trouble. Bouncy castle was clean and really good quality and the children had a brilliant party. Highly recommended. Brilliant friendly service.My daughter was so happy with her bouncy castle with a slide. Thank you for helping her have the party she wanted. 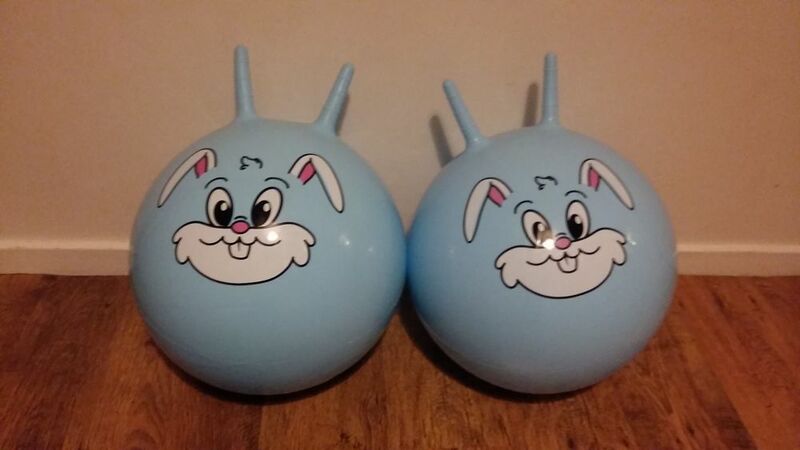 Blue Rabbit Hoppers are great for a lovely add on to any soft play hire or bouncy castled hire, these will be a great success for any party. 2 x Blue Rabbit hoppers! A great add on for any Bouncy Castle of Soft Play Package! A great way to help Children develop and improve Confidence, Co-ordination and Balance. Available for hire in Suffolk,Cambridge Newmarket, Mildenhall, Burwell, Exning, Soham, Ashley Green and surrounding areas.